PickupFlowers is the best choice to quickly and reliably send flowers to Japan. We understand that sending flowers internationally is often a nerve-wracking process because orders can get lost or delayed, but with us, you won’t need to worry. At PickupFlowers, we work with a network of florists in more than 80 countries worldwide, so international orders are simple! Thanks to our business model of partnering with the top local florists in the area, our customers are guaranteed to quickly receive fresh, high-quality flowers on time, every time. When you need a hassle-free way to send flowers to Japan, PickupFlowers has you covered. 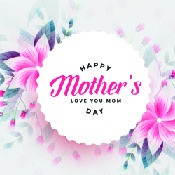 Simply browse through our extensive catalog for flowers, gift baskets, specialty gifts, and add-ons like teddy bears or balloons. Our checkout process is guaranteed to be safe and secure, so you can feel confident ordering from us. We also take customer care very seriously and aim to provide the best service possible. Our 24/7 customer service team can be reached by phone, email, or live chat, so you can feel free to ask any questions about your order. Customers interested in fast flower delivery in Japan will be happy to learn about our same-day and next-day delivery options! By working with only the top local florists, we can easily bring our customers the most unique floral arrangements for holidays, birthdays, anniversary celebrations, sympathy occasions, and many more. We offer many types of flowers, like beautiful roses, lilies, orchids, and carnations. We also offer other gifts, such as plants and gift baskets. We are happy to work with you to put together the best gift for your needs. Thanks to our fast shipping and low prices, we have become a favorite source for reliable flower delivery! Japan is home to many beautiful native flowers, so your recipient is sure to receive only the most gorgeous, freshest blooms. At PickupFlowers, we are pleased to be the top choice when it comes to domestic and international flower delivery. Japan is home to many world-class florists, and we are proud to partner with some of the best in the country. We understand that customers sending flowers to Japan have many options. PickupFlowers is the best choice because of our fast, reliable delivery and large network of local florists around the world. Our customer service is top-notch, and we work hard to keep our online ordering process as simple and straightforward as possible. If you have any questions about your purchase or would like help putting together your order, please contact us today! Sending flowers to Italy is a specialty of PickupFlowers. Our extensive floral selection is a compendium of the best designs from local florists, and our floral designs are available for international flower delivery. Italy residents throughout the country can receive our deliveries quickly. Purchase flowers to help you share your feelings of love and devotion. 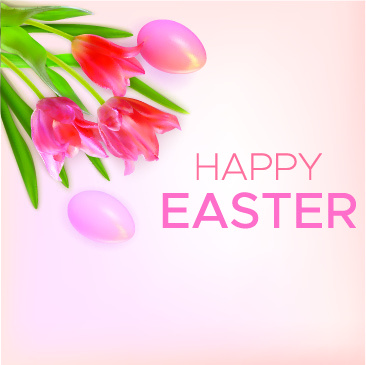 Flowers can also send a special message on a personal or public holiday. Send birthday or anniversary flowers to Italy and make someone’s day truly memorable. After a death occurs, order sympathy arrangements with flower delivery. Italy friends and family members will receive your gift quickly and know that you care. Choosing and sending flowers to Italy is a simple task. PickupFlowers has an extensive selection of colorful and fresh bouquets and arrangements online. We utilize the best florists in Italy to make beautiful arrangements that can include carnations, roses, lilies, and orchids. Design an arrangement with specific flowers to send flowers to Italy that carry a special message to someone. Or perhaps you would like to send a potted plant instead to give a lasting gift. 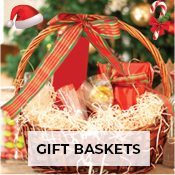 We also offer many different gift baskets full of treats to eat and pampering products. PickupFlowers helps you send flowers to Italy no matter where in the country your loved one might live. 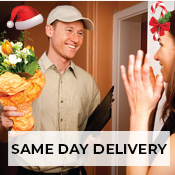 Our goal is to simplify the process of flower delivery. Italy residents can receive memorable floral gifts at affordable prices when you turn to us! Our online ordering process is secure, and we provide 24/7 live chat to help our customers buy exactly the flowers they want for international flower delivery. Italy customers and those who care about them can order with confidence! We have a professional and knowledgeable floral staff ready to answer all of your questions. Our Italy florists will design beautiful, fresh arrangements to enable everyone to share the special joy of flowers with family and friends. Want to Send Flowers Somewhere Other Than Italy? PickupFlowers is an online florist that specializes in delivering flowers all over the world. We will help you choose and order bouquets to send worldwide. We promise 100 percent satisfaction for every order with fast and affordable shipping! Don’t let another birthday or occasion go by without commemorating it with beautiful flowers from PickupFlowers!